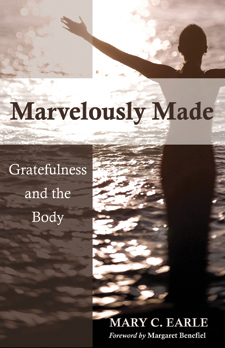 Each chapter in Marvelously Made focuses on a vital part of the body, the heart, the lungs, the brain, the joints. For each section, Mary provides reader-friendly information about the wonders of the organ or body part, and offers a prayer and a set of gratitude practices in the form of a physical and spiritual meditation exercise to deepen your appreciation of the body. SKU: 978-0-8192-2762-1. Categories: Books, Mary C. Earle.